Seth Lovis & Co is a modern and friendly law firm based in London. They provide legal services for businesses and individuals, specialising in Commercial Litigation, Property, Personal Injury, Family and Wills & Probate. Soon after you instruct through Best Value Conveyancing, you will receive a welcome call from your solicitor to start the conveyancing process. BVC promise competitive fees without resorting to a 'bargain basement' service. As part of the Fitzalan Partners Ltd network, they strive to be efficient, understanding, expert and friendly. Bates Solicitors is a full service practice offering legal services to both individuals and businesses. 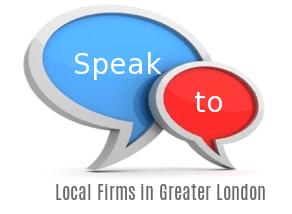 They are long established and have seven offices throughout London and the Home Counties. You will experience a high level of partner engagement in all transactions so you can be sure of a wealth of experience and expertise every time. Where necessary, they can act quickly, pre-empting a problem or finding a legal solution. You will find the staff, friendly, easy to deal with, caring and they will talk to you in plain English. They are always transparent with regard their costs and many services are offered on a fixed fee basis. The London office is conveniently positioned on Essex Street, just off the Strand opposite the High Courts of Justice. It does not provide disabled access, but Bates solicitors can arrange a home visit on request. There are links from all major overland stations; nearest tube is Temple (District Line) which is a 5 minute walk away. They handle: Consumer Rights Dispute. An award-winning firm combining a classic approach with the latest technologies to ensure clients receive the most cost effective and efficient service possible. Giambrone lawyers are carefully selected for their professionalism, approachability, pragmatism and creativity. You can also speak to a lawyer in your own language whether Arabic, English, French, German, Italian or Spanish.